Full Screen HD viewing HIGHLY RECOMMENDED! The whole story of the project is told at kermitbubbleboy.com. Bubbling Tank Hill from Mike L Miller on Vimeo. The whole Project was virtually complete--one last installment: "Bubbling San Francisco," involving multiple scenic vignettes, to go--when I trotted up Tank Hill last March and found a site quietly insistent upon its own segment. A singular City view and startling breeze patterns made it a must. Enjoy! Please comment! Bubbling Buena Vista Park from Michael L Miller on Vimeo. Mike and a very special guest join the bubbles converging on Buena Vista Park and see what they can add to the mix. Episode 6 of Mike Miller's Bubble Project. Bubbling Holly Park from Michael L Miller on Vimeo. Bubbling Mount Davidson from Michael L Miller on Vimeo. Episode 4 of the bubble project. Bubbling Land's End from Mike L Miller on Vimeo. Giant Bubble Party IV from Mike L Miller on Vimeo. 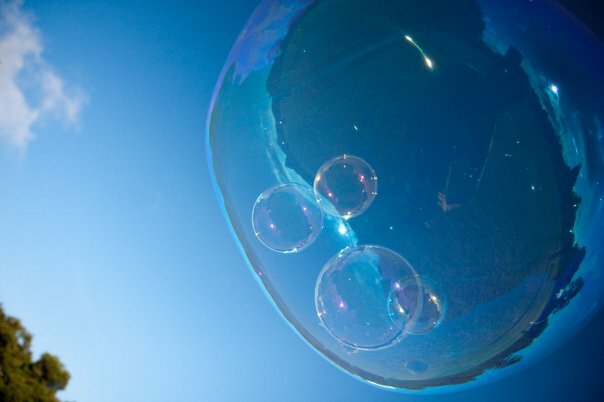 Serious Bubble Quantity and Quality! With Sterling Johnson and Brian Lawrence. I made this for Louis Pearl. It's only a minute. He'll blow your mind! Giant Bubble Party III from Mike L Miller on Vimeo. Home movies from Lakeside Park on Fathers Day. Thanks to everyone who participated! OMCA Clips from Mike L Miller on Vimeo. Home movies of the OMCA bubble shenanigans. Lakeside Park Giant Bubble Party from Michael L Miller on Vimeo.